Looking for something sweet and rich to sink your teeth into? Oh boy will these do the trick! 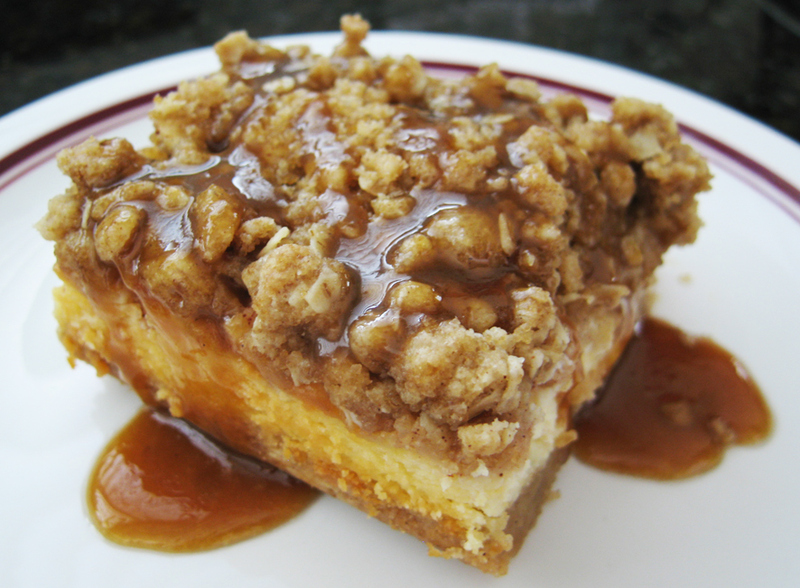 These Carmel Apple Cheesecake Bars with Streusel Topping are highly recommended from Mel’s Kitchen Cafe. 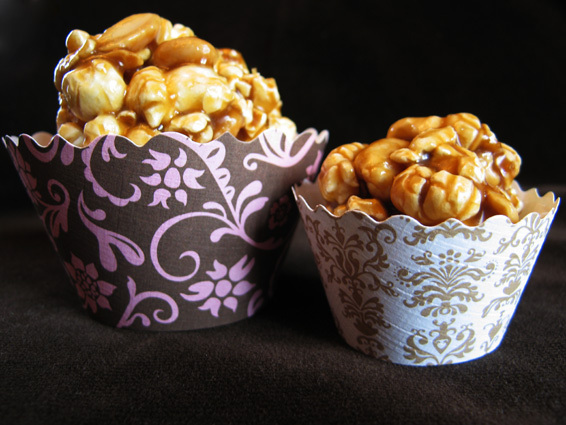 I remembered this recipe for caramel popcorn from my high school days, and I am so pleased I got the recipe from my friends mom this week that I had to celebrate by making up a batch! This is my favorite time of year, and since I have purchased large baskets of pears and apples, there is nothing left to do but get baking. We used to have taco night at least once a week when I was growing up- this could possibly stem from the fact that both of my parents were born and raised in Mexico. I have a deep appreciation for Mexican food- an appreciation that runs deeper than the supreme fries you can get at the food court. Any combo with squeeze cheese does not constitute as a true Mexican feast! 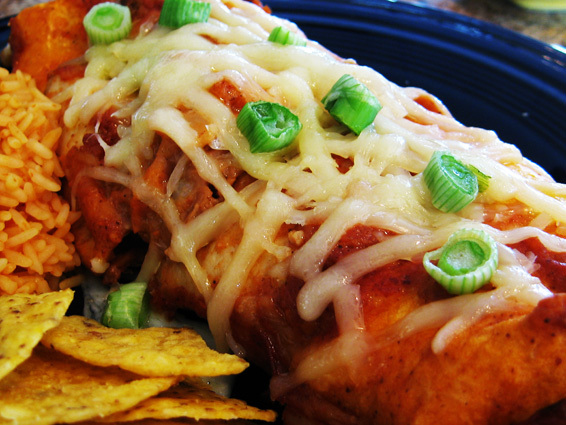 Here is my mom’s recipe for Enchilladas, make them tonight! 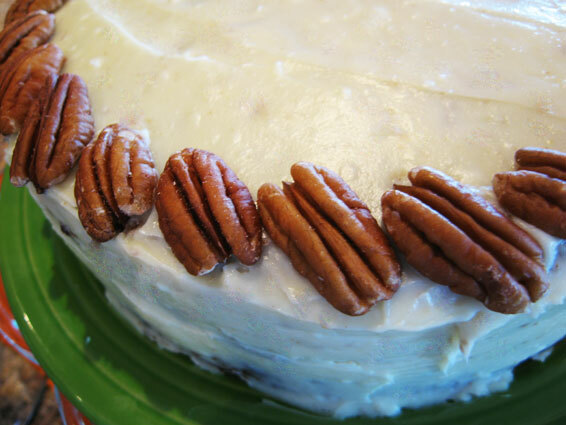 I originally found this recipe is from Canadian Living website and have been making it over and over; it truly is the best carrot cake! The crushed pineapple makes it extremely moist! –A must for any carrot cake. 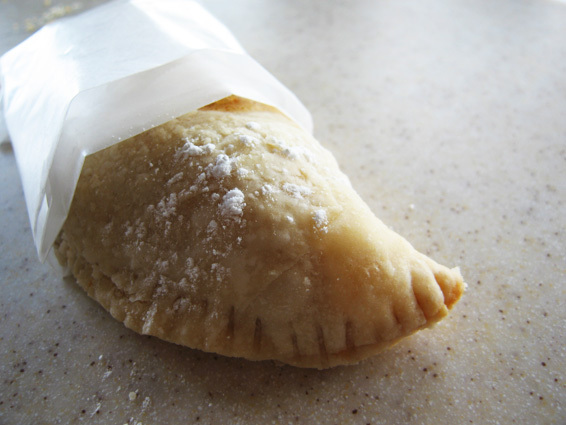 I thought I would share this recipe with you!